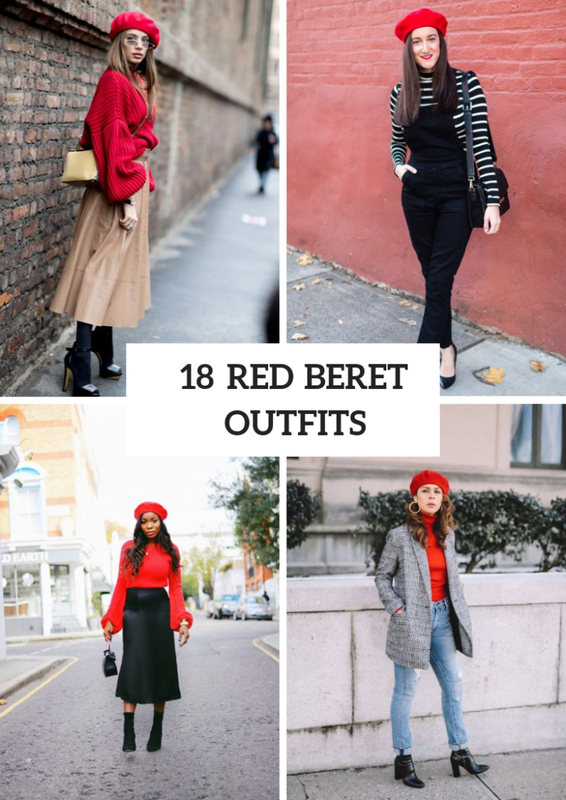 If you are looking for a hat for the fall and winter seasons, then you should pay an attention to berets, for sure. Why should you focus on them? 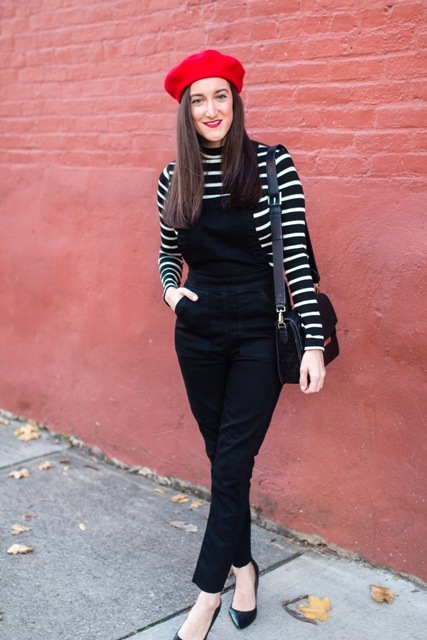 It’s all because they look stylish and chic and add a special charm to any outfits, they are easy to combine with almost all pieces of clothes from elegant wide leg trousers and feminine dresses to distressed loose jeans and mini skirts. 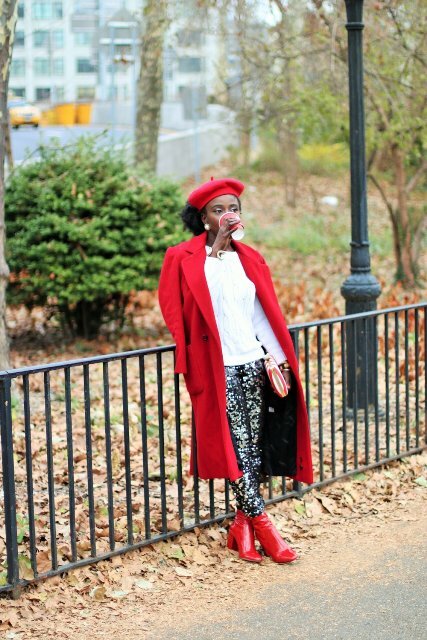 And today I’d like to show you some cool and interesting looks with red berets that look eye-catching and amazing. Right now you can scroll down to see all ideas. 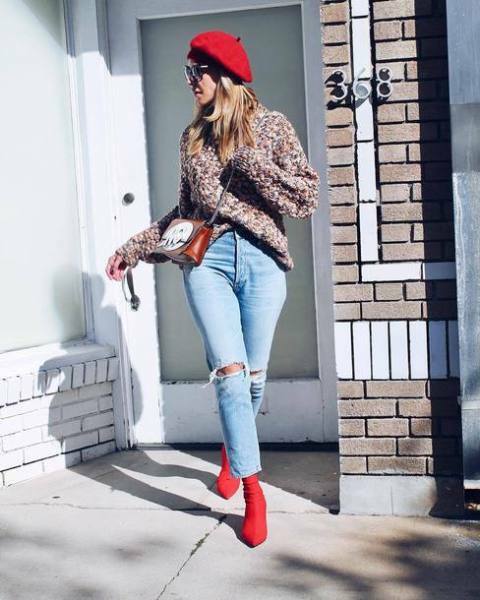 If you want to create a casual outfit, then you can take an oversized sweater and pair it with light blue distressed jeans, red sock boots, sunglasses, a red beret and a leather chain strap crossbody bag. 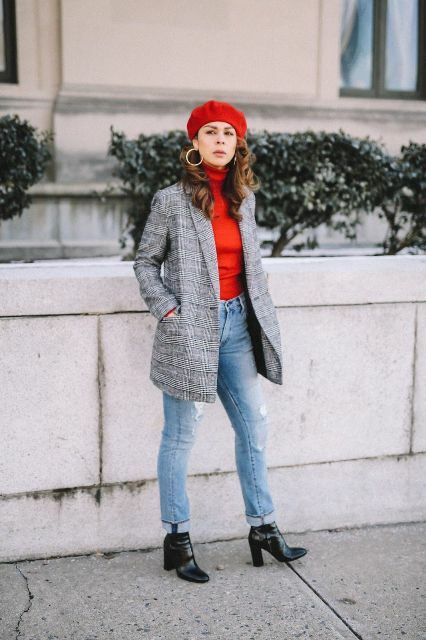 Or you can mix a red turtleneck with a gray checked long blazer, a red beret, high-waisted cuffed jeans and black leather ankle boots. Wanna something eye-catching? 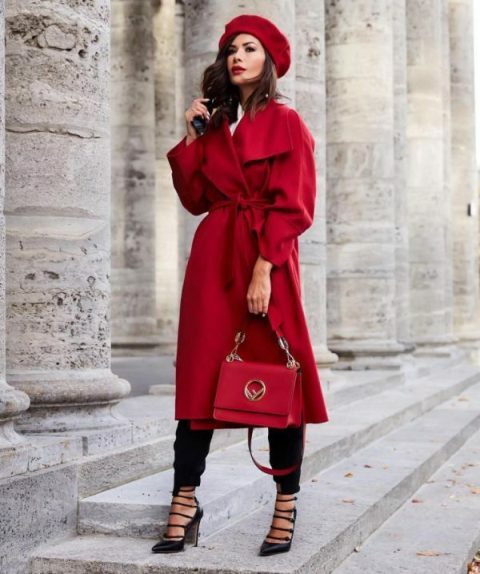 Then try to repeat a look with a white sweater, embellished skinny trousers, red patent leather boots, a red midi coat, a red beret and a clutch. 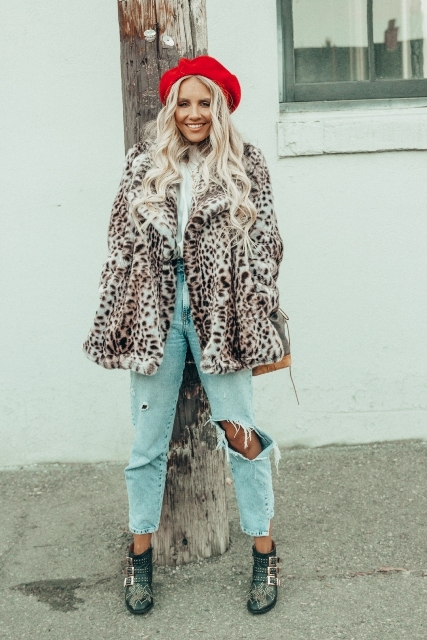 Or you can combine a white shirt with a leopard faux fur jacket, a red beret, super distressed loose jeans and ankle boots. 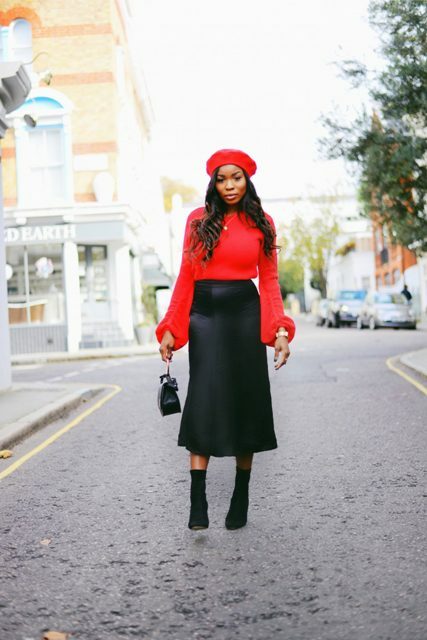 For warm fall days you can try to combine a red knitted loose sweater with a light brown leather A-line midi skirt, black tights, high heels, a red beret and a yellow crossbody bag. 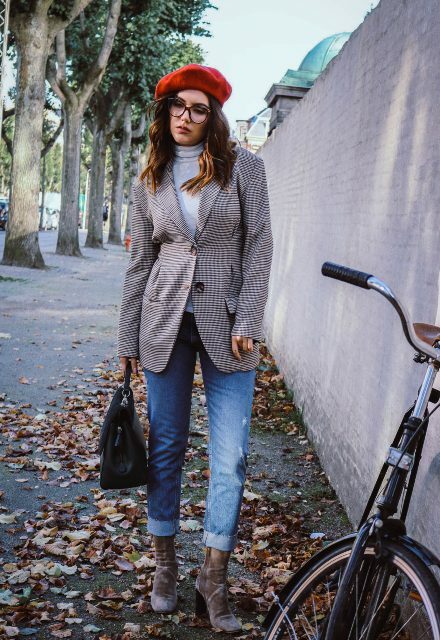 Or pair a gray turtleneck with a plaid mini skirt, marsala tights, a beret, a black bag and black boots. 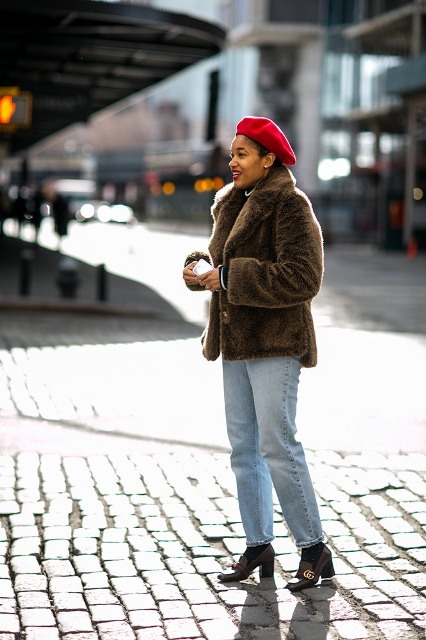 For colder days you should add a coat to your outfits, for example, mix a gray mini coat with a black dress, a beret, a white backpack and red over the knee boots.